"Pipiliin makapag #OOTD, kahit ang kapalit naman nito ay SUGAR DADDY" Children nowadays REALTALKED in this student's spoken word poetry. Kids growing up now too fast. With their iPhones, laptops, and intuitive capability of always getting their way. Children appear to be out of control. Running laps around their parents as they passive aggressively watch. What’s happened to today’s youth? I hear, with their blatant disrespect and self-entitlement. 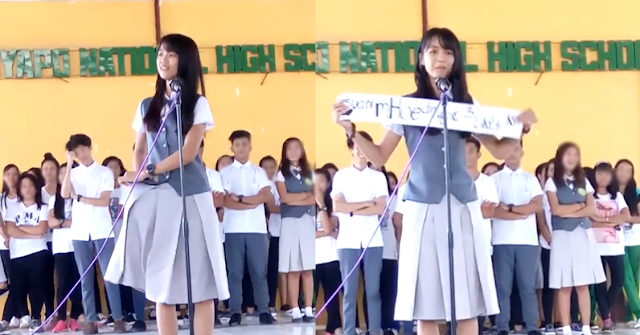 A video of spoken poetry by a student identified as Tricia Ambrocio of Cuyapo National High School gone viral after she described what's really happening to the youth nowadays. 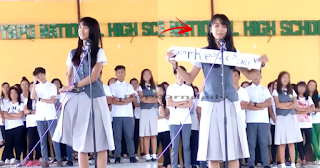 She 'real-talked' and "savaged" the youth with her words that really capture and hit the netizens. 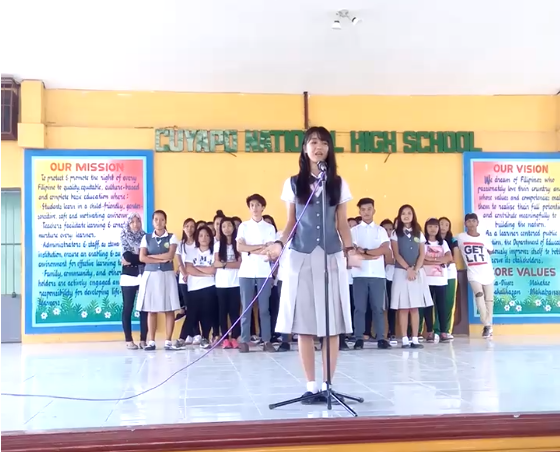 What can you say regarding this girl and her spoken poetry? Share your thoughts below.